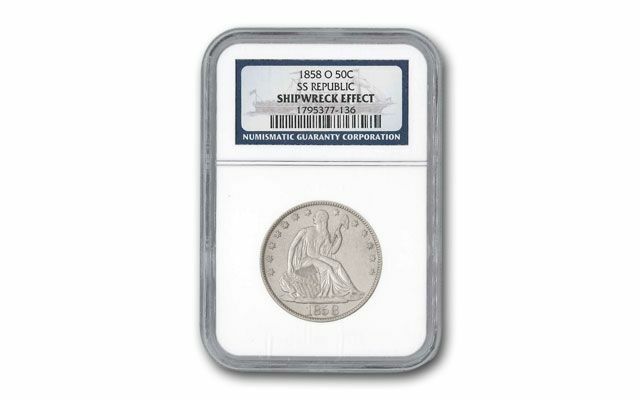 Seated Liberty Half Dollars From the SS Republic! The SS Republic's last voyage began on October 18, 1865. 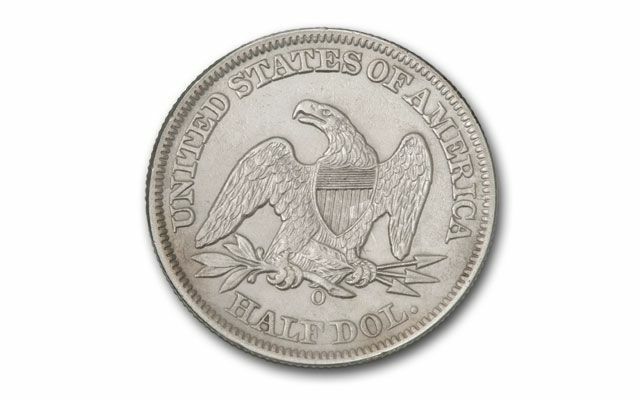 She departed New York bound for New Orleans with a reported $400,000 in gold and silver coins. On October 23, the ship was off the coast of Georgia when an east-northeasterly gale blew in. At 4:00 P.M. on October 25, after two days of valiant struggle to keep the vessel afloat the SS Republic went down. After a 12 year search, Odyssey Marine Exploration Inc. received a report on November 7, 2003 from its recovery vessel that they had found the sunken remains of the SS Republic, containing thousands of gold and silver coins worth as much as $180 million. 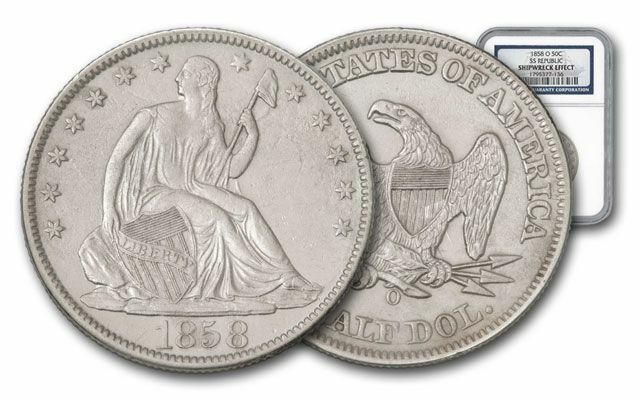 Now you can add a Seated Liberty Half Dollar from this find to your collection. 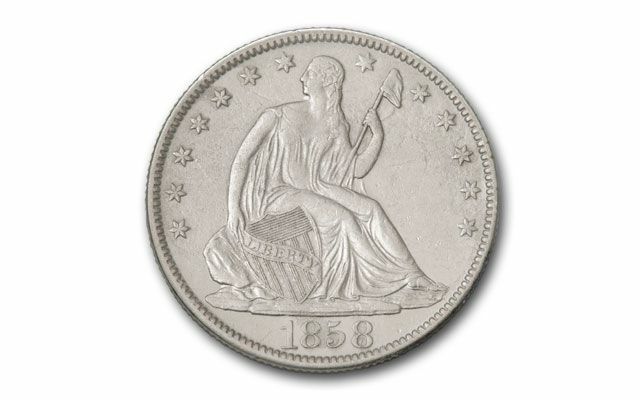 This 1858-O of the Arrows at Date variety is graded and certified by Numismatic Guaranty Corporation (NGC) as Shipwreck Effect (SH EF). Hurry - we only have one coin of this type available!